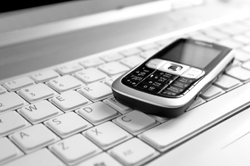 A big part of a sales person’s day are often telephone sales calls. Outbound sales calls are something that needs to be executed and a big factor in the sales person’s ability to generate leads and results. Focusing on how to improve this area has a big impact on sales performance and there are things that can be done to drive improvements. Most likely, you sell a set of products and services. In addition, you know the different features and benefits of those. What do you have to offer the prospect in terms of business value? How can you help the prospect’s business? It is important that those two questions be at the front of your mind which enables you to focus on the conversation with your prospect. What does your ideal prospect look like in terms of title, department, industry, size of company and current environment? By clearly knowing what the prospect with the best fit for you looks like, you stand to improve results while making telephone sales calls. By performing some amount of sales research on your prospects as well as the industry they’re in before making outbound sales calls, you stand to have a positive impact on the phone conversation and sales results. 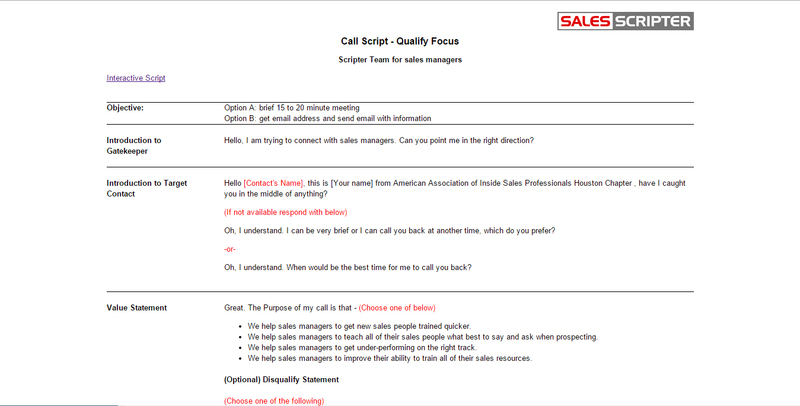 By having some sort of cold call script prepared ahead of time, you will greatly improve results. For some, a cold call script would be a word for word script as to what should be said during the telephone sales calls. And, for others, it may be an outline of points that can be made and questions to be asked. No matter which way is chosen, having something to work from greatly improves your ability to establish and control conversations. Be prepared to get cold call objections on every call. They are statements that the prospect shares with you to end the call like “I am not interested” or “Just send me some information”. You will consistently run into about 10 of these objections and it will greatly improve results making telephone sales calls by simply scripting out responses you can deliver the objections to keep the calls going. 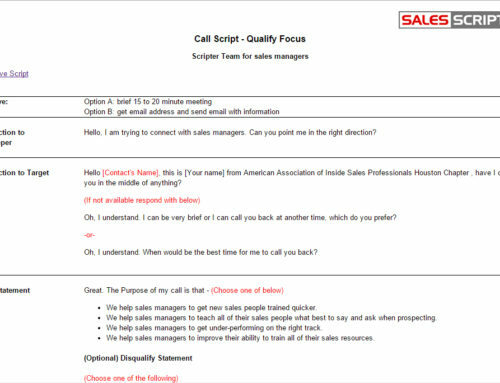 It is important to create an outbound sales routine in which you have time dedicated specifically for cold calling. In doing so, you will not only improve your consistency with getting in solid phone activity, but you will also improve your mental mindset in dealing with the mental challenges are associated with cold calling. You will find that not every prospect you call and reach will be a good fit. Ask some qualifying questions to the prospect to make sure that it makes sense to keep talking instead of assuming that they are is optimal. This will not only make sure you produce good leads, but also will create better conversations and rapport with the prospect. 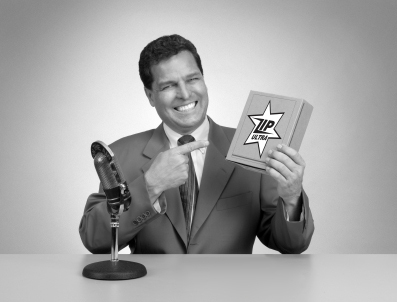 When reaching a prospect, are they great, ok, or could need improvement in the area where your products impact? 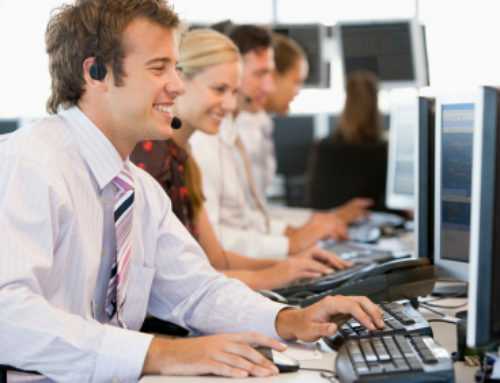 Identifying if things are just ok or could be better in turn identifies valuable information you can use throughout the call and sales cycle. 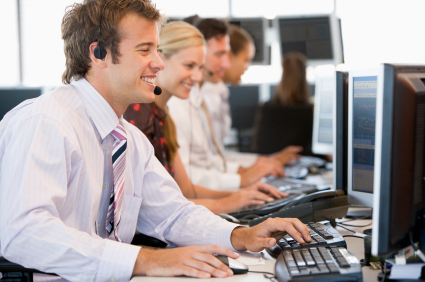 SalesScripter provides cold calling coaching helping sales pros with making telephone sales calls.